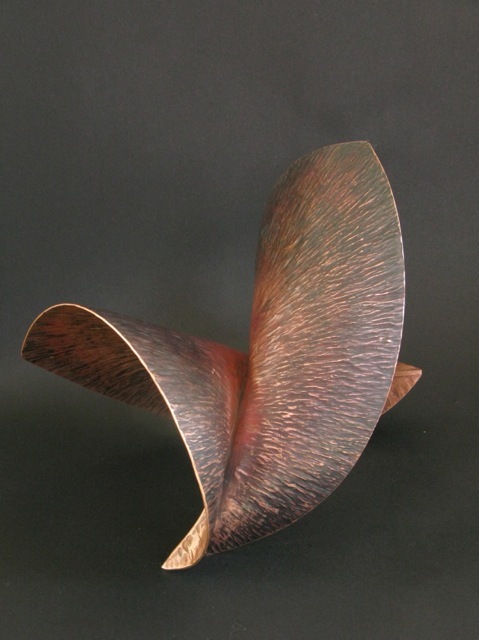 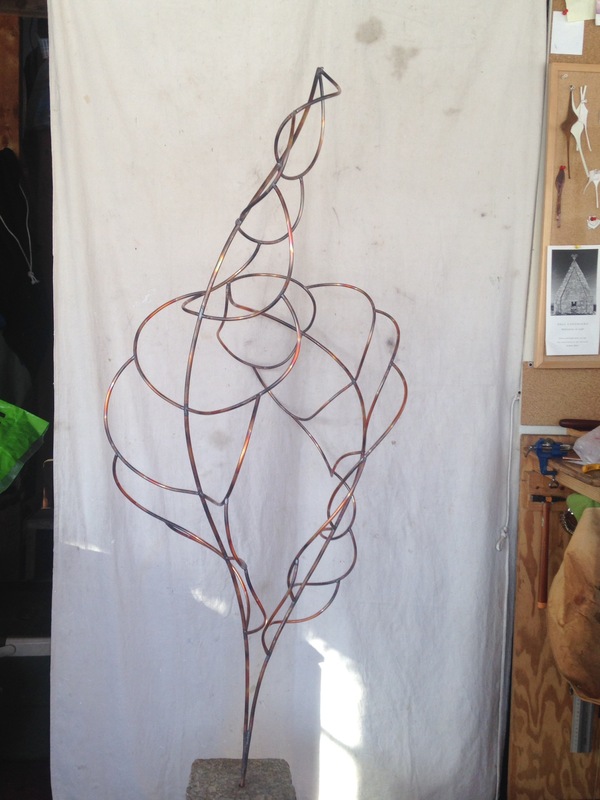 Here are new fold forming sculptures for you to enjoy. 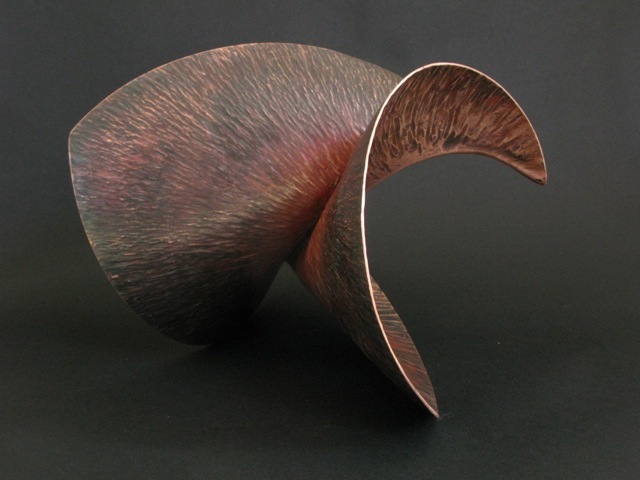 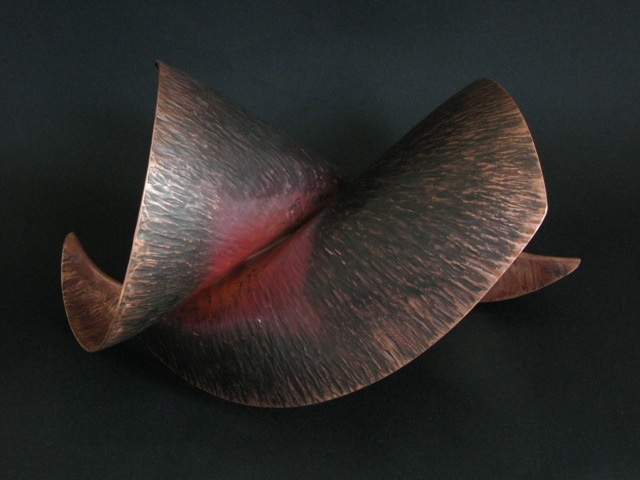 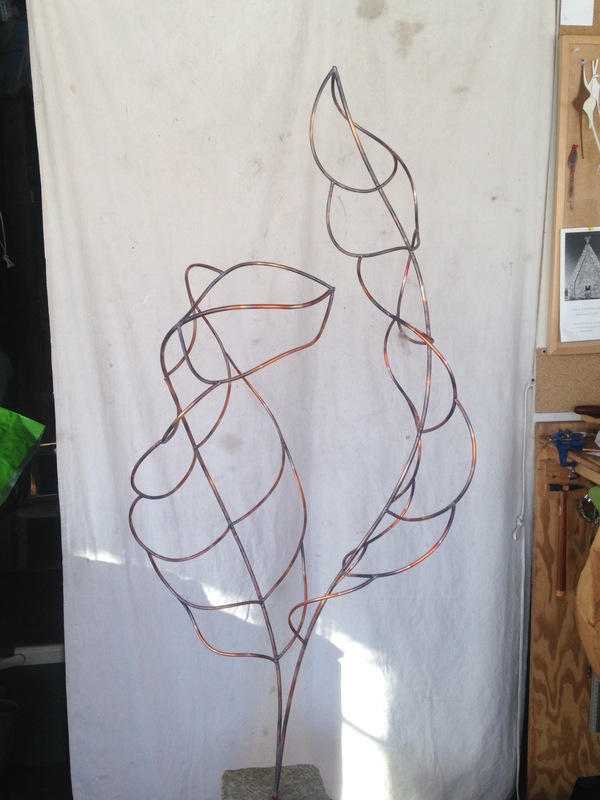 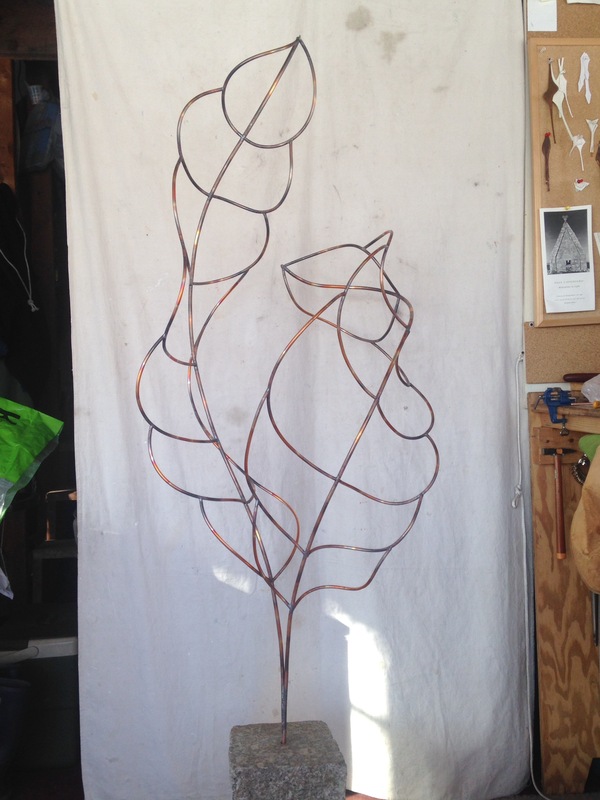 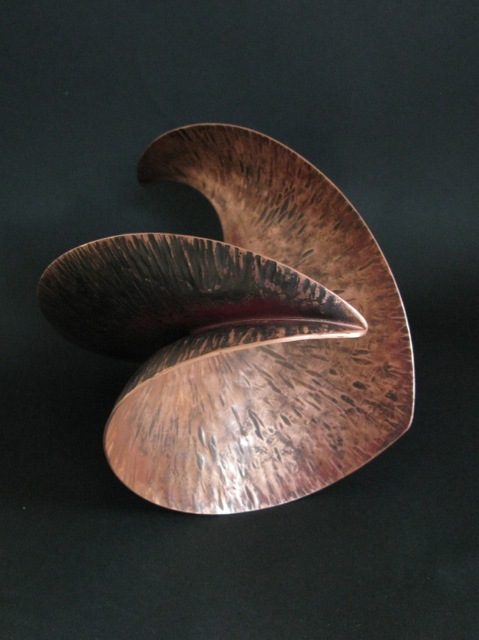 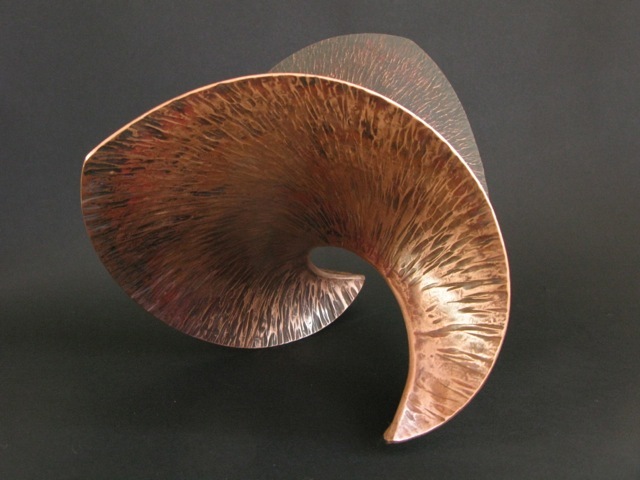 It takes many hours of hammering to shape these forms out of a flat sheet of copper. 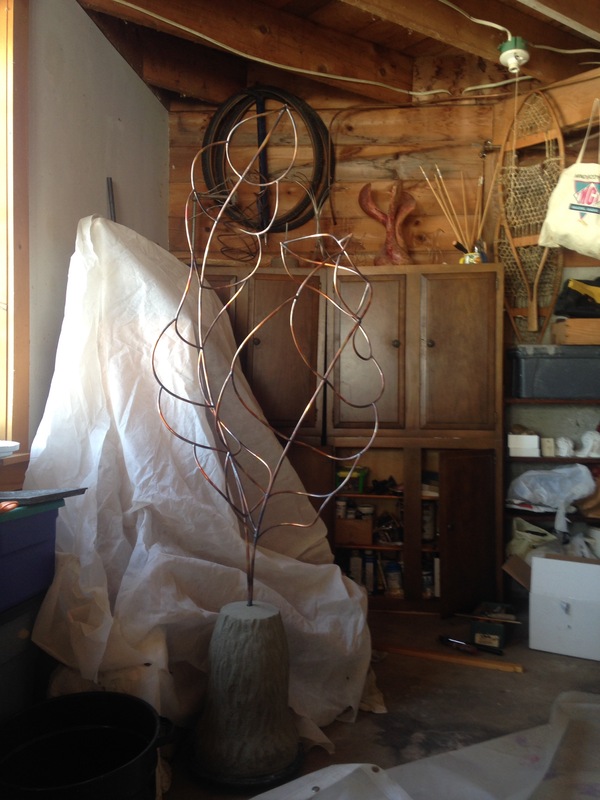 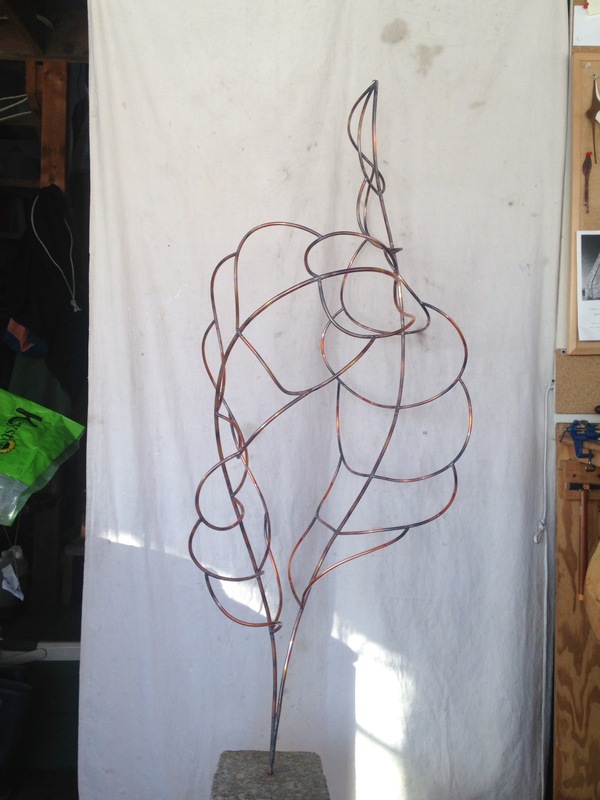 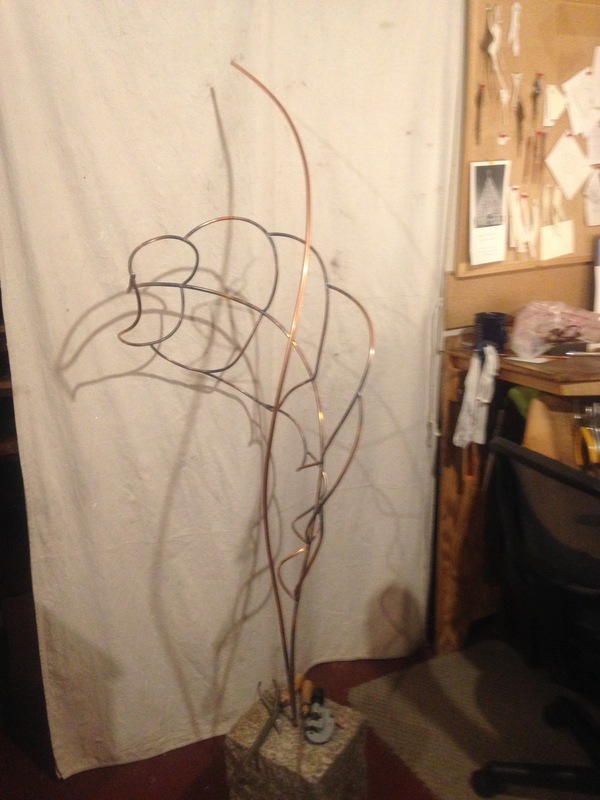 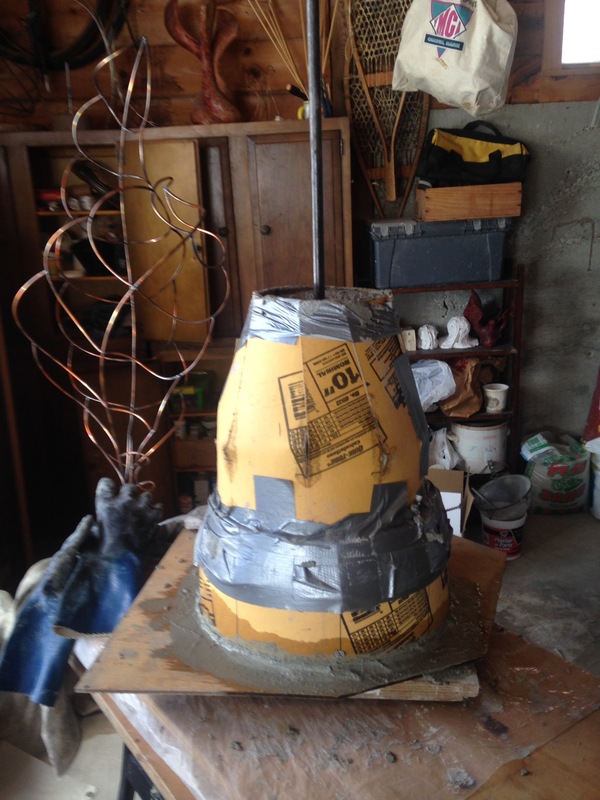 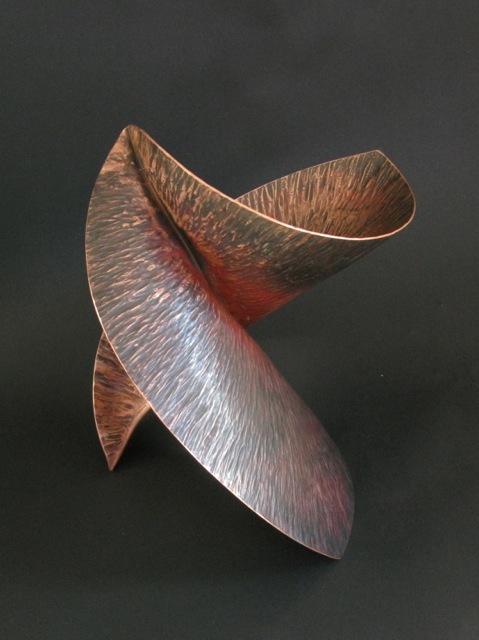 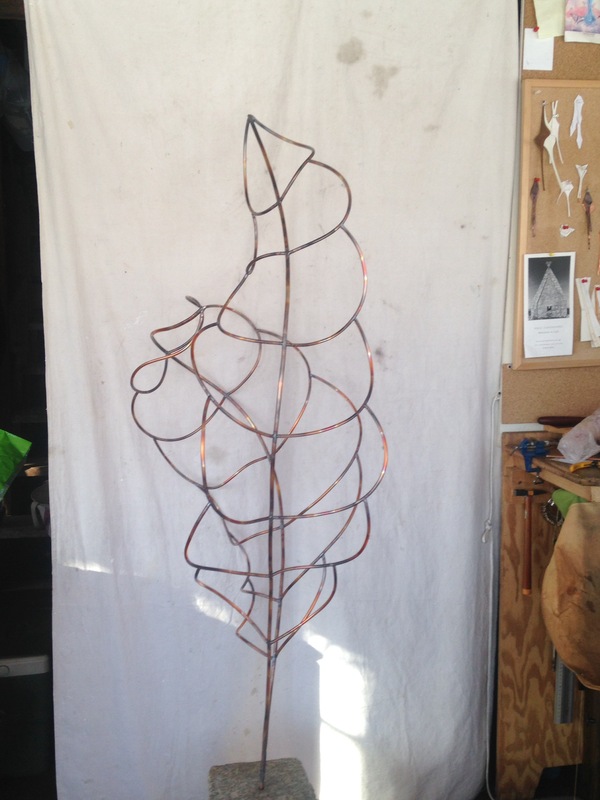 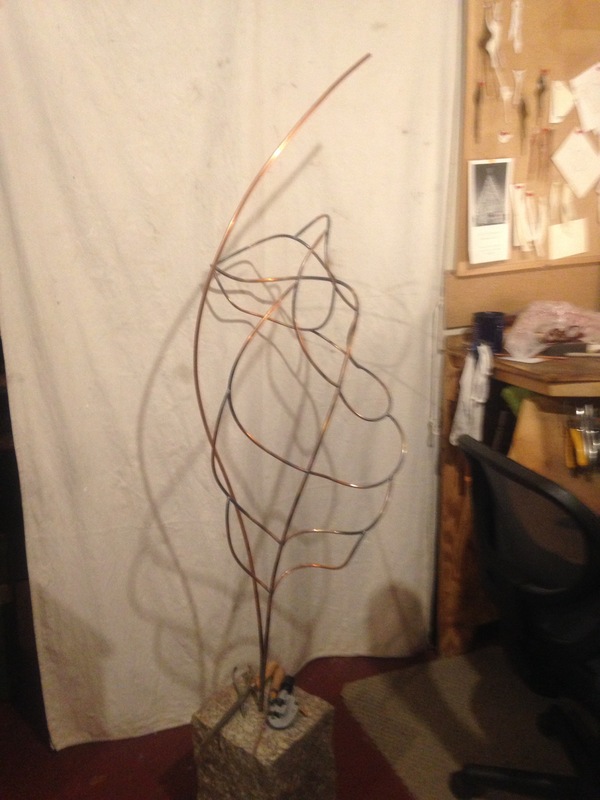 Knowing how much to stretch the copper in order to get the expected form takes many years of experience. 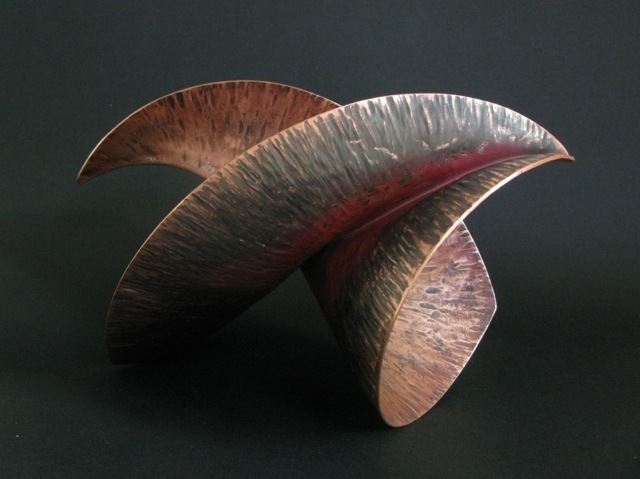 I love the fire patina on them. 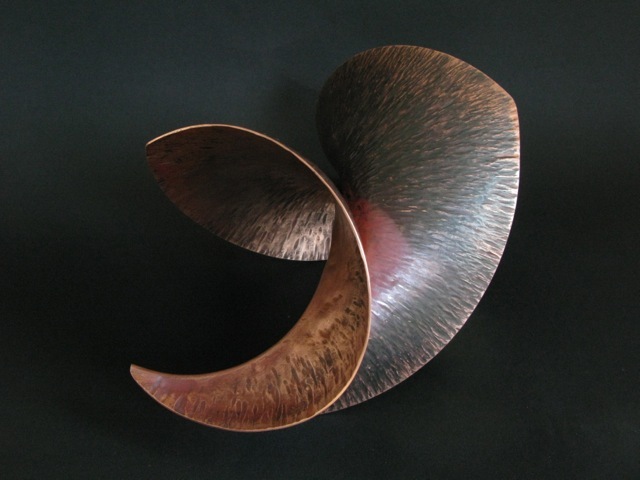 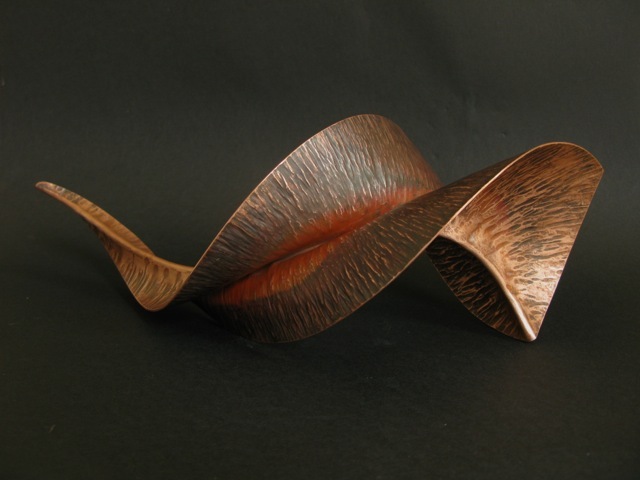 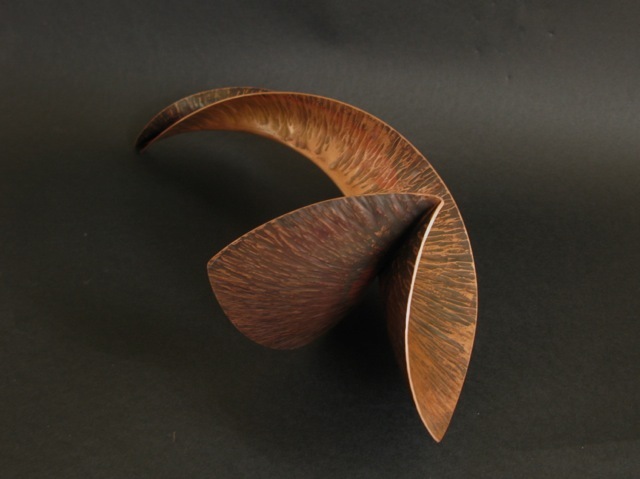 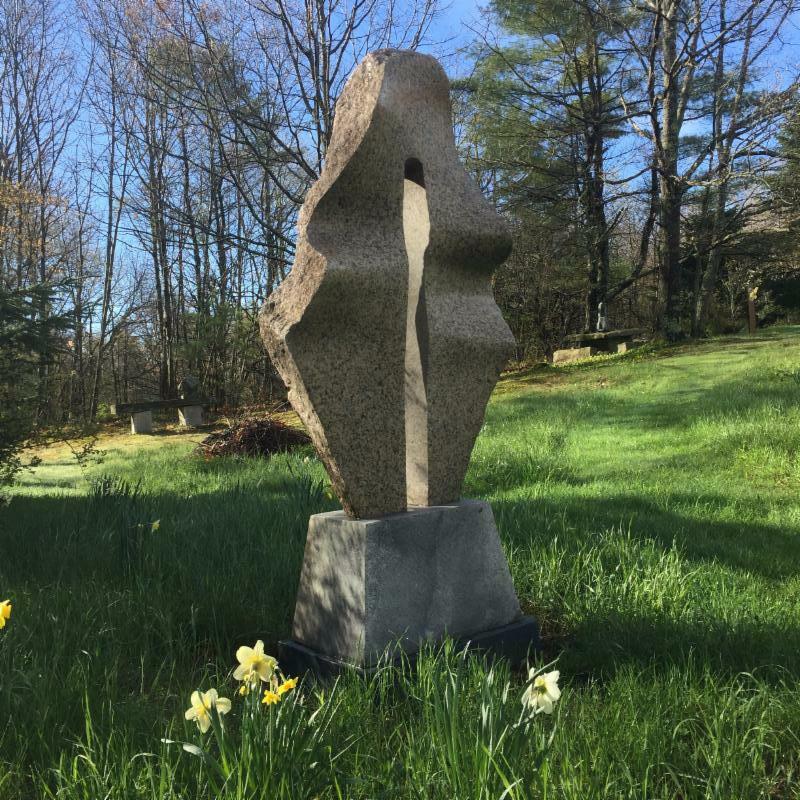 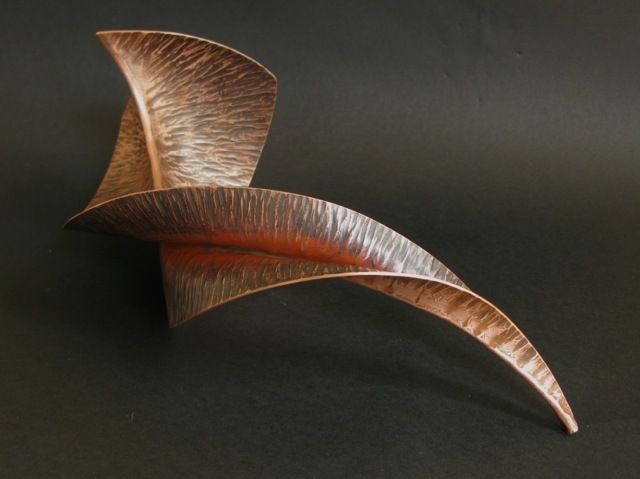 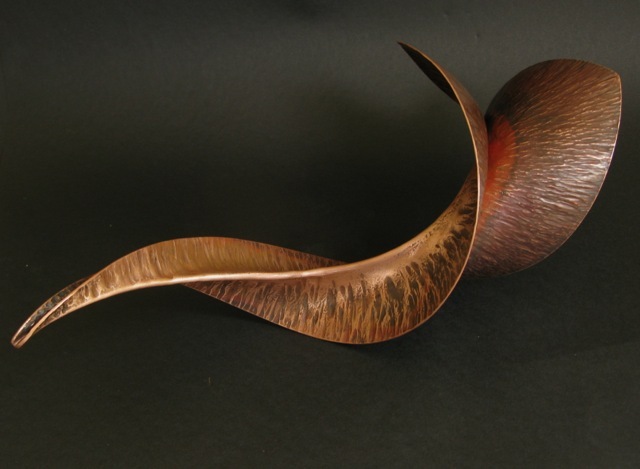 In this video Antje is talking about her art: Bronze sculptures and pendants, Foldform jewelry and sculpture, outdoor sculptures and the connection to the heart and her other passion; Massage Therapy.